Health outcomes are influenced in myriad ways by an individual’s social environment and their community. For example, community has been linked to such outcomes as body mass index (Diez Roux & Mair, 2010), homicide rates (Bharmal et al., 2015), and suicidal behavior (Centers for Disease Control and Prevention [CDC], n.d.). Due to these strong influences on health outcomes, the Healthy People 2020 campaign identifies social and community context as a pillar of the social determinants of health. Of particular importance, however, is how this pillar fits into the larger picture of the social determinants of health. Social and community context has been shown to help negate potentially negative consequences witnessed as a result of the other social determinants of health (Bharmal et al., 2015). 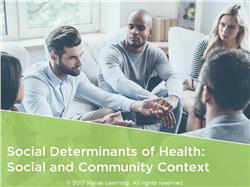 In this course, you will be provided with an in-depth analysis of social and community context and how it affects the health and well-being of patient populations. You will learn about its four components, which include social cohesion, civic participation, discrimination, and incarceration. Throughout the course, you will also be presented with information and scenarios that will help you improve treatment planning and health outcomes for your patients. Describe the components of social and community context. Explain how social and community context affects your patients’ overall health outcomes. 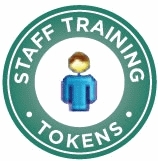 Identify issues related to your patients’ social and community context. Create a care plan that overcomes barriers related to social and community context.